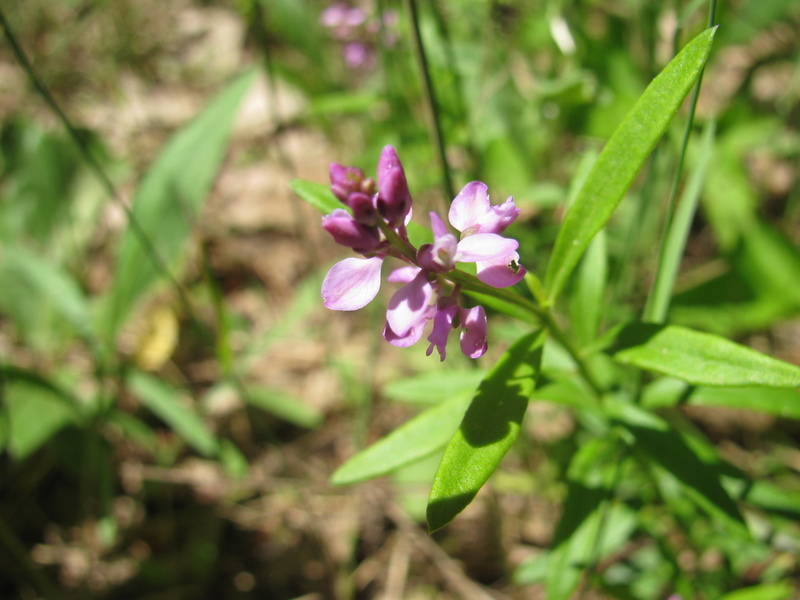 The milkwort family or Polygalaceae, is a family with beautiful orchid-like flowers. I am a fan of flowers that have bilateral symmetry, such as orchids, peas, violets and milkworts. There are six natives species in Michigan (Michigan Flora Online) and eight native species currently found in New York (NY Floral Atlas). The seeds often have an aril, which is a fleshy covering that ants enjoy. The ants help to disperse the seeds by moving the seeds to eat the aril. These plants often have cleistogamous flowers. These are flowers that self-pollinate themselves, which allows the plant to always produce seed. 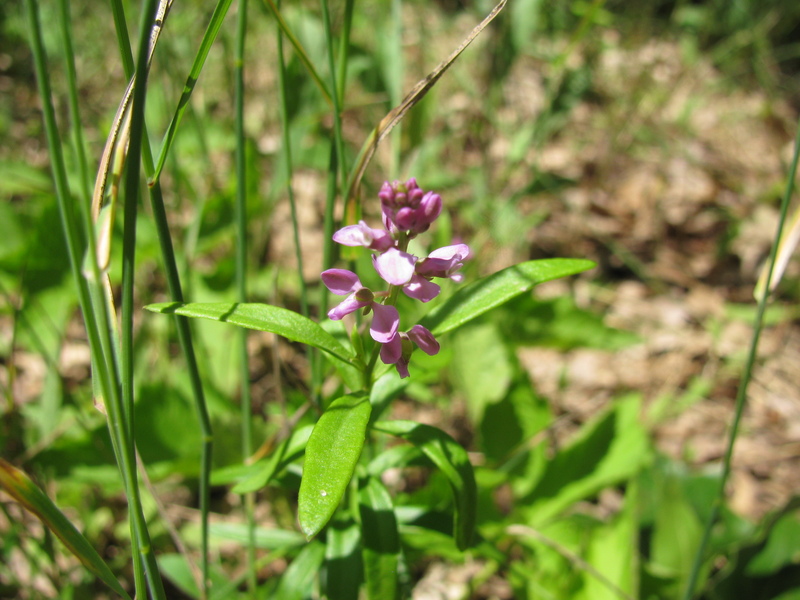 The cleistogamous flowers are often found underground, so they are protected from the elements and pests (Michigan Flora Online). I was walking along a trail created to allow the power lines to pass overhead in a local park in Michigan. The earth was sandy and rocky. I saw a thin plant with little purple flowers and realized it was a milkwort, the racemed milkwort (Polygala polygama) to be exact! It is only the third species of milkwort I have ever seen. 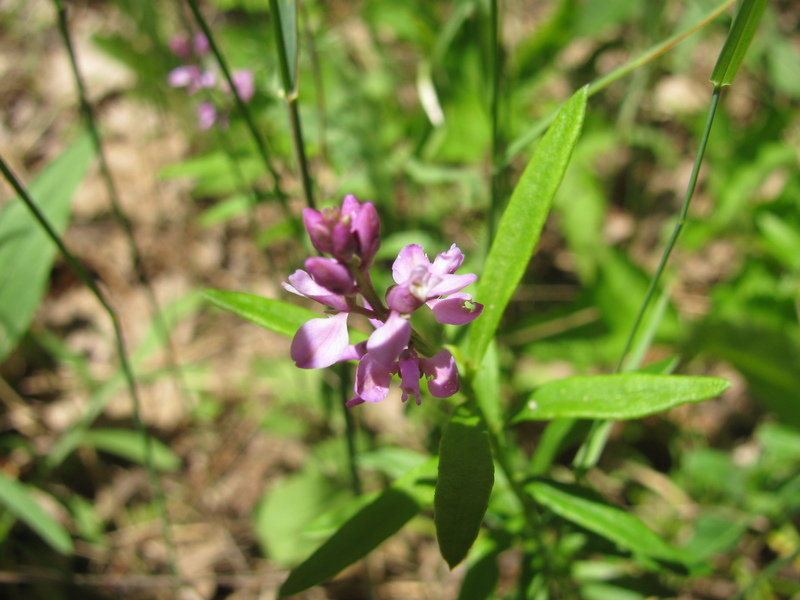 Identification of the racemed milkwort is based on the alternate leaves and the loose cluster of purple flowers. The name ‘racemed’ comes from the flower inflorescence structure called a raceme. This is when the flowers are attached to a main stalk by short stems (pedicels) and the lowest flowers open first. I have tried to go back to the site every year but I have never seen these plants again. Hopefully, I have just been missing the flowers, not that the plants themselves have died.